Audio book. Damaged case. Good condition is defined as: a copy that has been read but remains in clean condition. All of the pages are intact and the cover is intact and the spine may show signs of wear. The book may have minor markings which are not specifically mentioned. Most items will be dispatched the same or the next working day. Fair. Ex library copy, slight water damage to few pages **SHIPPED FROM UK** We believe you will be completely satisfied with our quick and reliable service. All orders are dispatched as swiftly as possible! Buy with confidence! 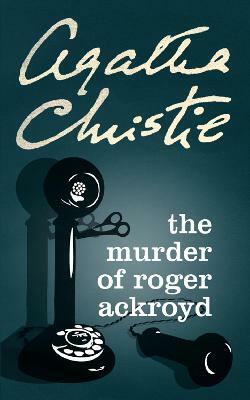 I think that 'The Murder of Roger Ackroyd' has to be Agatha Christie's best book ever. Although the actual murder is not htat spectacular, it's who the murderer is that is the ingenous part. The ending of this book is absloutly stupefying and the fact that you are looking at everyone but the real murderer makes this book amazing. I loved it! I loved this book. I never solved the mystery. My mother-in-law is a high school English teacher and she believes it is literary enough that she has her students read it.